This week we revisit an October 2015 post from Terry, on developing “smart speed” with a deliberate and strategic approach, using the key elements in the Math of Speed, based on the formula Velocity = Stroke Length x Stroke Rate. It’s well worth taking the time to explore this approach to speedwork because, as Terry noted in this post, “40 years of data collected by USA Swimming has revealed that this is the closest thing to an algorithm for swimming success.” Enjoy… and Happy Laps! However, while I’ll celebrate my 65th birthday in just a few months, I’m still highly motivated to swim as fast as my physical capabilities, and limited training time, allow. Thus it’s thrilling to have mastered a form of training that offers a mathematically precise—almost ‘guaranteed’—way of improving my speed. The accompanying video illustrates how it works. The first clip shows me swimming a continuous 100 yards. The onscreen graphics display the key elements in the Math of Speed, based on the formula Velocity = Stroke Length x Stroke Rate. However I’m far less interested in sprinting a breathless 25 meters, than in sustaining a brisk pace for a mile or more. That requires easy—and smart—speed. My plan for this 100-yard swim included two elements. I swam the first length at ‘cruise’ pace—a relaxed and restorative pace that feels as if I could swim indefinitely and never tire. This approximates the pace and effort I’ve used in marathon swims of 20 or more miles. On each of the next two lengths, I increased tempo and stroke pressure slightly. On the last length, I swam at what I call ‘brisk’ pace—strong, but quite controlled. It equates to how I like to feel in the latter stages of an open water mile race. I counted strokes (as I do habitually) while swimming this 100. My plan was to take 13 strokes on the first length, 14 on the next two and 15 on the fourth. ( My “Green Zone” in a 25-yard pool is 13 to 16 SPL.) I missed my target counts by one stroke, taking 15 on the third length. As I increased tempo, pressure, and speed, I focused on keeping my stroke quiet and splash-free—as I always do when increasing pace. 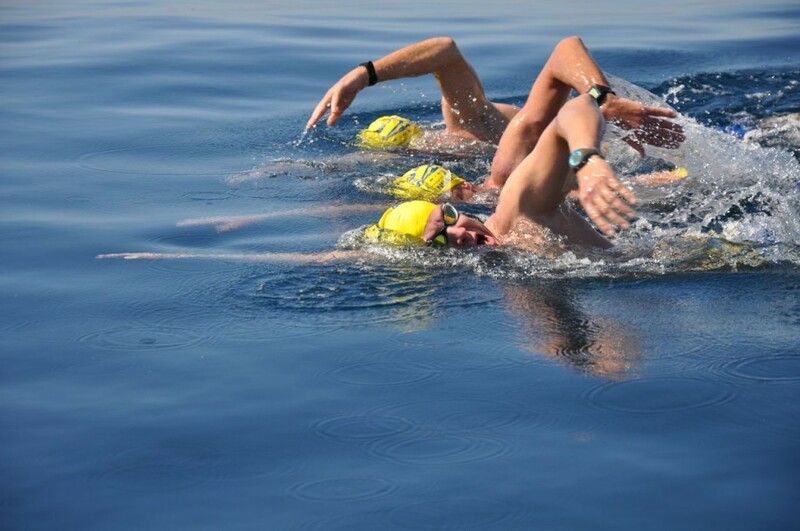 Besides the efficiency skills of balance, stability, streamline, etc., this swim also displays a high level of pacing skill, which is critical to racing success at any distance from 100 meters up—and to maximizing your personal speed potential. Few swimmers can maintain or increase pace on each successive 25 of a continuous 100. Fewer still can increase pace by 6.5% from start to finish. And here’s another thing to consider while watching this video. Drag increases exponentially as speed increases. So an increase of 6.5% in speed should result in a 47% increase in drag. Does it seem as if I’m working 47% harder on the 4th length than on the first or second? 1. The ability to keep one’s stroke efficient, relaxed, and highly integrated at a wide range of tempos and speeds. Both of these come from regularly performing challenging task or problem-solving exercises such as the one illustrated in the next two video clips, shot in a 25-meter pool. Those shown are the first and last in a series of 7 x 25. I started at a tempo of 1.10 seconds/stroke, and increased tempo by .04 on each successive 25 (1.06, 1.02, 0.98, 0.94, 0.90.) My goal was to test whether I could maintain a consistent stroke count—i.e. travel as far on each stroke—on each 25, to a cumulative tempo increase of two-tenths of a second. At a tempo of 1.1 seconds, 17 SPL converts mathematically to a 25-meter pace of 22.4 sec 0r 22:24 for 1500m. At a tempo of .9, 17 SPL converts mathematically to a 25-meter pace of 18.8 sec or 18:00 for 1500 meters. That’s what I mean by ‘guaranteed’ speed. When I first began using a Tempo Trainer, I adjusted in smaller increments—as little as .01 second—and was pleased if I could hold one stroke count while increasing by .06 of a second. Years of practice have significantly improved my ability to hold Stroke Length, while increasing Stroke Rate. As I noted in the post, “Want to swim like Katie Ledecky? You Can!”, 40 years of data collected by USA Swimming has revealed that this is the closest thing to an algorithm for swimming success. 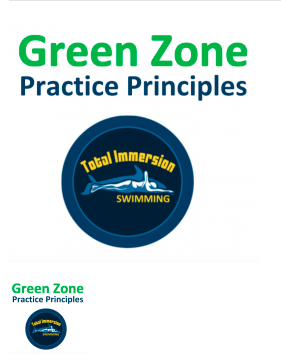 To test your own level of Smart Speed Skills, download our free Green Zone chart and order a Tempo Trainer.